North Carolina hog farms have been in the news lately, much of it tied to pending lawsuits that allege the farms are a nuisance. 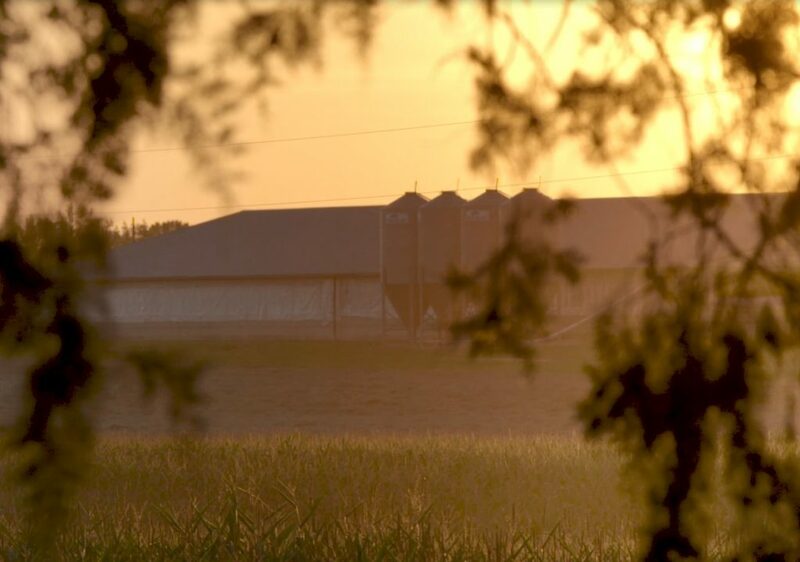 One of the primary complaints has been that odor from the hog farms arises to a legal nuisance. We wanted to address that, and offer some context. Our farmers are among the first to acknowledge that there can be smells associated with agriculture. All farms occasionally have odor. But some people claim the odor is always present, and some of them claim it is so overpowering that it’s nearly impossible to leave home. We urge caution about such claims. Sunset at an eastern NC hog farm. We live in these communities too, and we spend a lot of time crisscrossing eastern North Carolina, driving up and down the roads near our hog farms and near poultry operations, past feed mills and through dazzling landscapes that are dear to many in our state. What you also notice is a number of new subdivisions have moved in near our hog farms, along with country clubs, and businesses, and shopping centers and churches. What else? Playgrounds, swimming pools, fire pits, trampolines… and people enjoying them. Indeed, you see families spending time outside next to our farms. The way outsiders portray it – and it’s mostly certain media parroting activists with an agenda – all of eastern North Carolina is hunkered down because of hog farms. If those misrepresentations weren’t so sad or hurtful, they’d be comic. One of the best ways to get a feel for the odor is to listen to what other people say. Not the farmers, or those suing the farmers, but people with no dog in this fight. That’s why we read with great interest a recent Associated Press article about an upcoming trial. We were curious to see how the reporter described the odor on hog farms. Last year, the News & Observer visited a large Duplin County hog farm while writing a similar story. “A light barnyard smell lingers in the air,” that reporter wrote. Three different farms. Three similar first-hand reactions about the odor. Indeed, that’s the overwhelming reaction of visitors to our farms. Especially those who have been reading about us online. Even data collected by our harshest critics suggest that the odor on hog farms is not as bad as the activists like to portray. Ten years ago, a UNC professor gathered odor data. He asked a group of 101 volunteers, recruited by an activist group opposed to hog farming, to measure the odor outside their homes twice a day for two weeks. To be clear, we question this as a valid way to study. The participants, each of whom lived within a mile and a half of a hog farm, were told to rate odor on a scale from 0 (no odor) to 8 (very strong). All of this should help to explain why we say without hesitation that those who make extreme claims that odor from the farms is awful are exaggerating. Those kinds of allegations simply don’t pass the smell test.